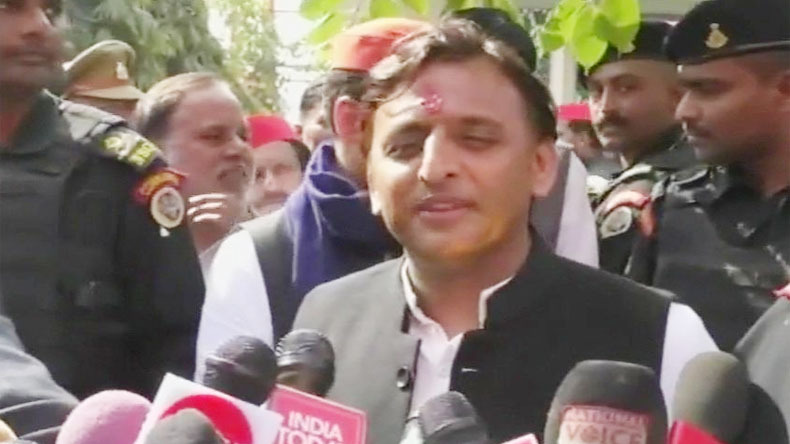 Akhilesh Yadav says SP-BSP alliance in Uttar Pradesh also includes RLD, NISHAD and Congress: Earlier, Akhilesh had said the Congress was kept out of the alliance to correct the poll arithmetic in Uttar Pradesh with the sole aim to defeat the Bharatiya Janata Party (BJP) in the 2019 Lok Sabha elections. SP chied Akhilesh Yadav said Ajit Singh's Rashtriya Lok Dal (RLD) and Sanjay Nishad's Nirbal Indian Shoshit Hamara Aam Dal (NISHAD) are also members of the SP-BSP alliance. Akhilesh Yadav says SP-BSP alliance in Uttar Pradesh also includes RLD, NISHAD and Congress: After forging an alliance with Mayawati’s Bahujan Samaj Party (BSP), Samajwadi Party (SP) chief Akhilesh Yadav on Monday spoke for the first time on alliance with smaller parties in the state including the Congress. The decision to include the Congress in the alliance may come as a surprise for Mayawati. The Peace Party (PP), another small ally that has been with the opposition alliance in the past by-elections in the state, is very much part of this grand alliance, Akhilesh added. Earlier, Akhilesh had said the Congress was kept out of the alliance to correct the poll arithmetic in Uttar Pradesh with the sole aim to defeat the Bharatiya Janata Party (BJP) in the 2019 Lok Sabha elections. In future, some parties will stay with the SP in the Lok Sabha while others will stay with it in the Vidhan Sabha (Aane wale samay main kuch Lok Sabha main hamare sath rahenge aur kuch Vidhan Sabha mein bhi hamare sath rahenge). Howeverforgetlesh didn’t forgot to mention that the SP’s relationship with the Congress has always been good. On January 12, 2019, Samajwadi Party (SP) chief Akhilesh Yadav and Bahujan Samaj Party (BSP) supremo Mayawati formed an alliance for the 2019 Lok Sabha election. Addressing a joint press conference in Lucknow, both Akhilesh and Mayawati said the two parties have decided to contest on equal number of Lok Sabha seats in Uttar Pradesh. At ,that point in time the two leaders had decided to exclude Congress from their pre-poll alliance. Akhilesh is optimistic that correct poll arithmetic can defeat the BJP in the Lok Sabha elections 2019 but he made it clear that final decision on who will lead a united Opposition will be taken later.